App Builder Appy Pie: Most of the small business owners do not have the time and the right kind of resources to develop their own logos or hire one of the top-notch design studios. It is also quite natural for them to be clueless about how to create a logo for their company that would stand out among the rest. Fortunately there are a whole lot of online tools that can help a business of any size, scale, and budget get going on their way to building a great logo for their brand. The idea here is to remember that it does not really have to be the final version. You must remember how big conglomerates like Google, Apple, PepsiCo and so many other have evolved their logos in tune with the changing times and aesthetics. The idea here is to develop at least the first version of your logo on paper, website, storefront, and any other place of marketing, promotions, business or wherever you feel necessary. You can of course delve into the creative process yourself with an art package like Photoshop or even something as rudimentary as PowerPoint and dip your fingers in it. This may save you some money but may result in something that would look obviously amateurish. 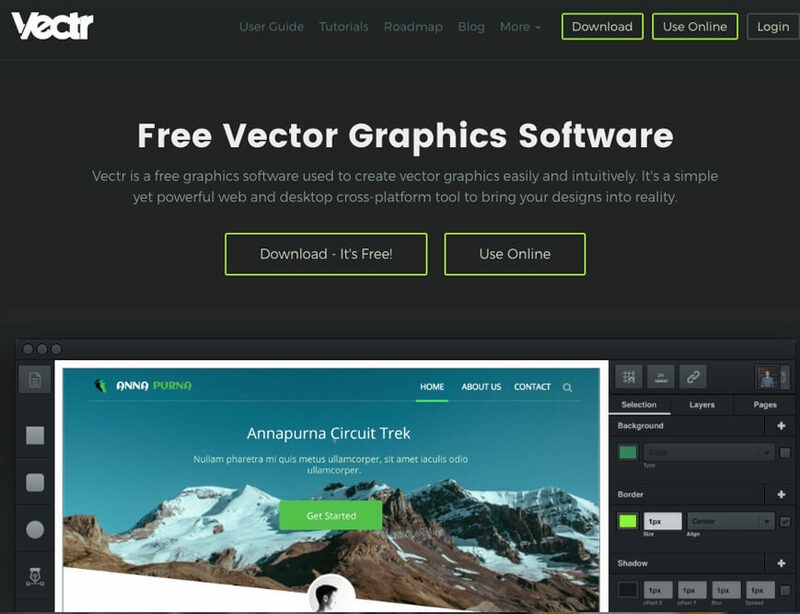 At this point you might consider opting for a free automated design tool that might get you over your creative block and help you get a fabulous logo for yourself. Let’s take a look! This is a great tool for some one looking to build a unique logo for their business. Here you can browse through numerous pre-made templates and take them over to photoshop then, to develop something that is truly unique, truly yours. This platform has a huge range of templates that be modified for a customized look and appeal. However, to truly harness the power of this platform, you would need the support of software like Photoshop and a working knowledge of how the designs can be edited and tweaked on the program. The best part about using this platform is that all the templates are of very high quality, which means the logos you would build with them would look amazing and easily resonate with your consumers. This is not really a name that we need to explain much about. Known for a huge range of services that they have been offering for online businesses, they can take care of almost everything that you might need when you are trying to launch your own digital identity beginning with a website. They have a brilliant and free online logo maker. Here you can browse icons and customize the design of your logo. 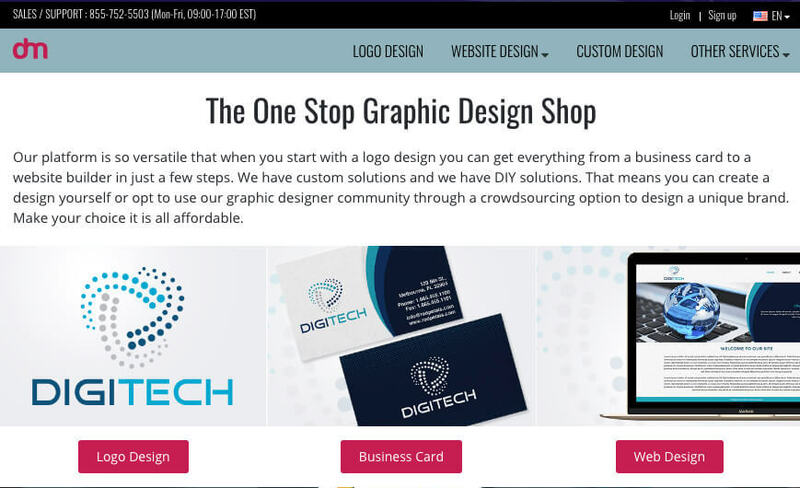 Whether you are simply looking for an inspiration to get working on your own logo or are planning to create a completely customized logo, this free logo maker can help you out. You can download the low-resolution version of your creation for free or pay $10 for a high-resolution version. 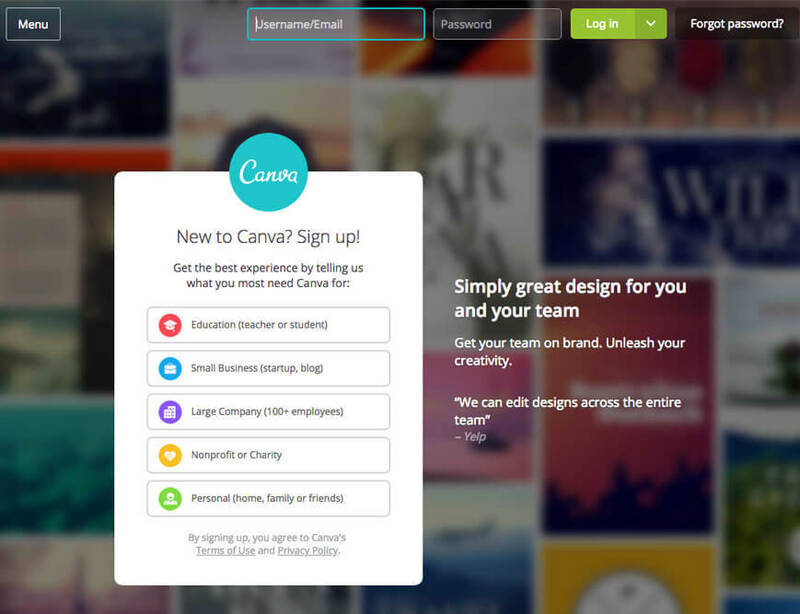 Canva has established themselves as a name to be reckoned with, especially in the free design market. They have a great range of templates for social media images, promotional flyers, invitations, business cards, etc. Their free templates can be as appealing as the paid ones, so you never know when you’d strike gold with them. However, if you do not like the available templates, you can upload your own graphics or explore their library of free elements that can be combined with the logo templates. The drag and drop interface is quite simple for anyone to use and create their own brand identity. Design Wizard is an excellent graphic design software which helps you to edit high-quality images and videos in seconds. Currently, it holds over 1 million images and tens of thousands of video templates. And there is no attribution required. You can browse through the various logo templates Design Wizard holds, including restaurant logos, gaming logos and band logos. 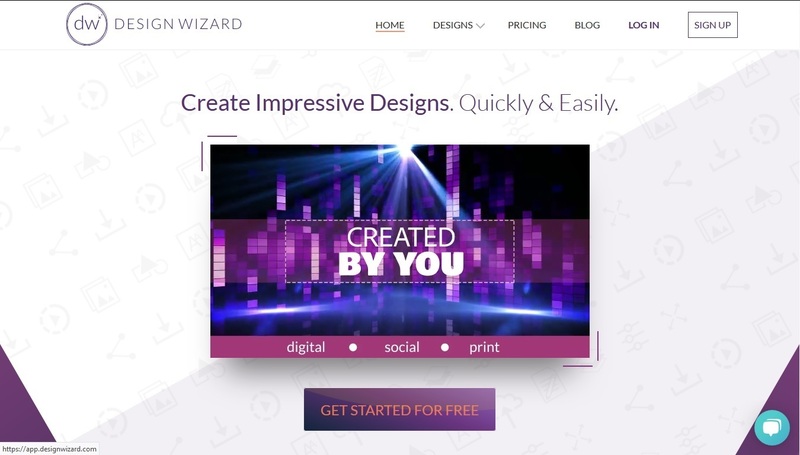 Standout features on Design Wizard include custom color palette, resize button and free font library. 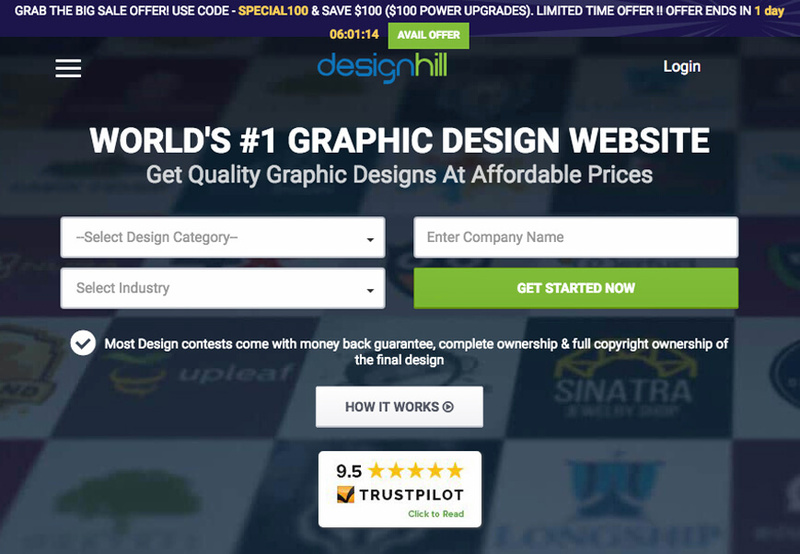 Among the massive range of services offered by Design Hill, their free logo generator is definitely worth a mention. There literally are a thousands of icons to browse through and as many options to customize the text and colors to create and download your own designs to be used for free on any forum. 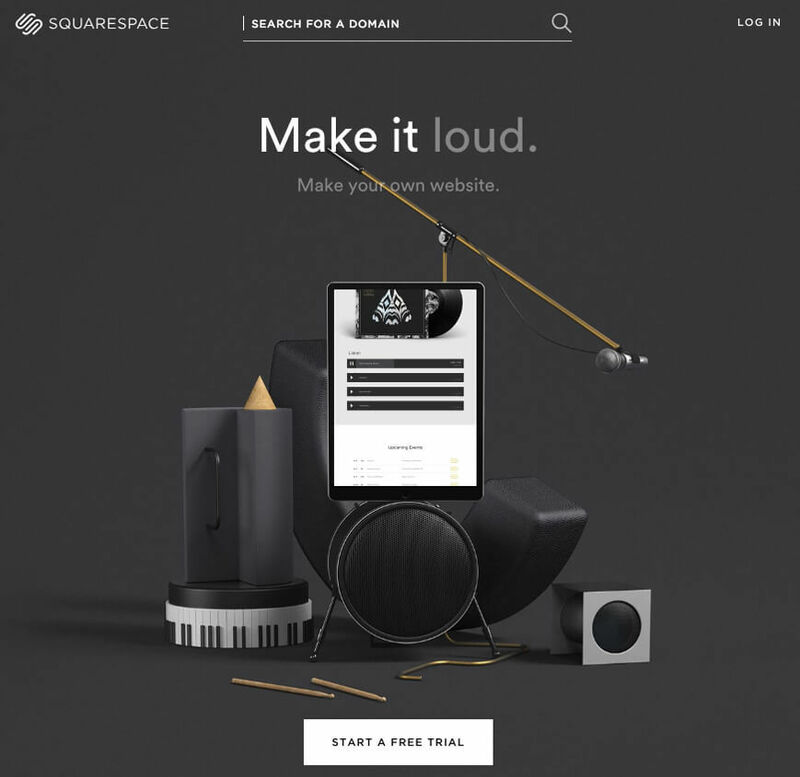 Theirs is a 3D logo maker that lets your logo come alive on any screen or space. They have a rich library of some beautifully designed logo templates for you to explore and choose from. Whether you are looking for an electron shaped logo or a logo that represents the entire planet, they have everything that a business owner might look for in a logo. When you use a 3D logo maker, you get to stand apart from the rest of the competitors. This is an amazing logo design software and the best part is, you do not need any design experience to use the software. Though the software can be used when you are online, but you also get the freedom to download it and install it on your computer for free! The software allows for collaborative ventures where you can do some cool live editing and share the progress with your team members. What’s more all the files that you create can be downloaded in high resolution for free. They even have some really helpful guides and tutorials to assist you in the process. 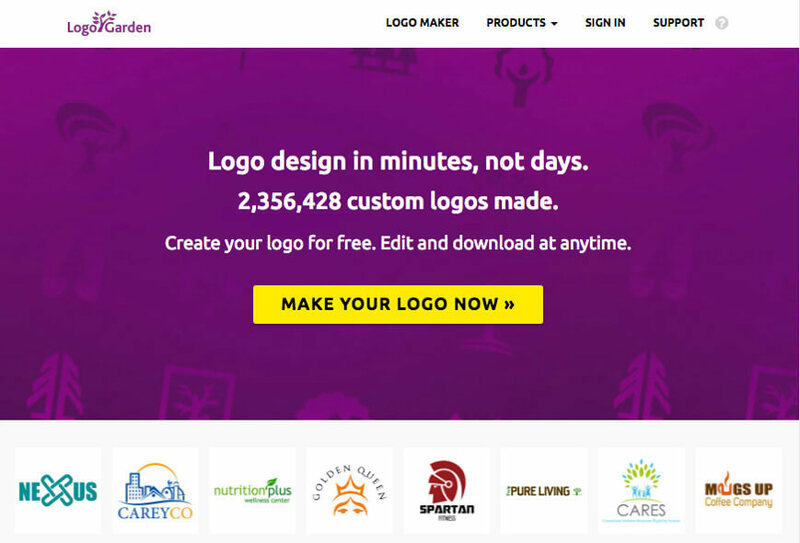 A one of a kind free online logo creator, Logo Garden would let you create a logo for your business in just a few minutes. On this platform you would be able to browse through hundreds of different logo design samples that would befit myriad industries. 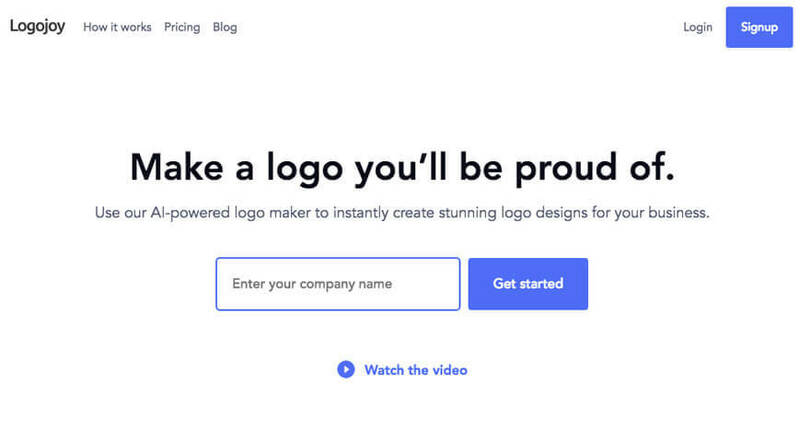 If you are looking to build a truly unique brand identity with an appealing logo, you can easily create one after exploring thousands of brand symbols and layout options. The logos designed here can be used on multiple platforms including your stationery, promotional material, t-shirts, and most importantly your digital materials including your website and your brand new mobile app. This is one of the more organized approaches to designing a logo for your business. Here you begin by picking the logo style that you prefer, the kind of fonts you want to use, and the color palette that best suits your brand personality. After entering your business name, you get to choose from one of the 30 industry categories that you belong to. If you like a logo, you can then begin customizing it by choosing the colors and font to go on it. 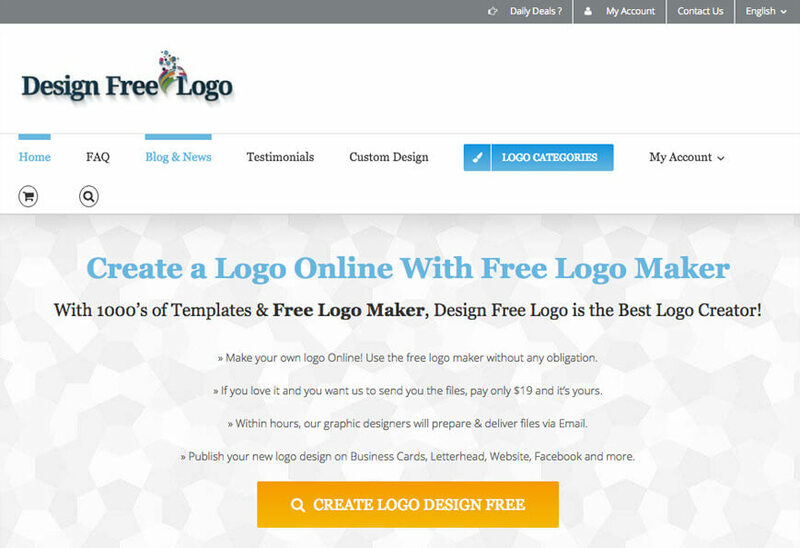 Though you can create your logo here for free, but in order to download the logo you would have to pay an amount. Paying this fee would get you a high-resolution file and a vector file in case you need to go for large scale printing. There is a download limit here, and if you do not want to pay the fee, you can use this platform as a place to get inspired and create your own logo by yourself. The numerous templates on Graphic Springs are divided into a number of suitable categories making it easy to find exactly the one that you like. All you have to do here is input the name and tagline of your business, then choose the suitable category of images. You can now pick the logo that you like before going on to edit and tweak it and make it perfect for your brand. You can go really elementary and create a logo from scratch using basic geometric or other shapes or can superimpose them on the templates for a decorative touch. 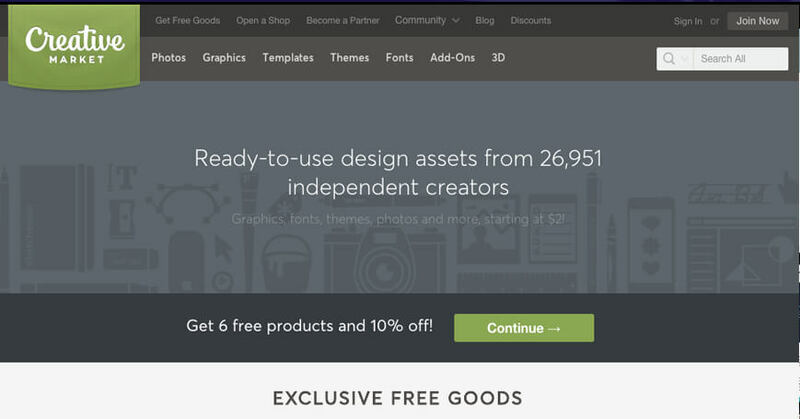 If all you want to do is create your logo, it’s free to use the software, but they do charge a fee for you to download the logo in different formats. The good thing is they have unlimited edits and downloads, which is great if you have a tendency to be a tad indecisive or want to keep an option open to make changes in the future. This is one of the more fancier tools and makes use of Artificial Intelligence to design your logo. What you need to do here is supply a little bit of information about your business, the industry that it is a part of, the color palette you intend to use, and ‘Hey Presto!’ you have your logo. You can always make some changes to it with the easy to use toolkit. However, to view the custom logo designs, you would have to enter your contact information.